Eytan Yammer grew up in Teaneck, New Jersey. Following high school, he went to Israel and learned at Beit Medrash L’Torah and served in the IDF. Upon returning to the U.S., he attended Rutgers University where he studied mathematics and marine biology and met his wife, Marisa. Eytan and Marisa served as the youth directors for the Synagogue of the Suburban Torah Center in Livingston, NJ, for four years. Upon his arrival at YCT they moved to White Plains where Eytan became the Youth Rabbi at the Hebrew Institute of White Plains. In 2010, Eytan became the Rabbi at Knesseth Israel Congregation in Birmingham. There he served on the Institutional Review Board at the University of Alabama at Birmingham, on the Professional Advisory Committee for the Clinical Pastoral Education program at UAB and on the Campus Ministers Association at UAB. 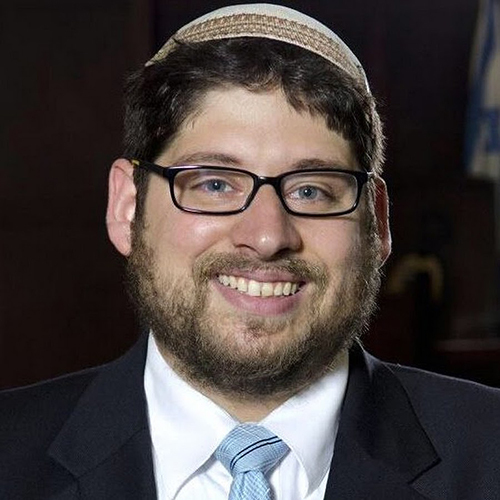 Rabbi Yammer was also often called upon by the Department of Religion at Birmingham Southern College to lend a Jewish voice to interfaith panels and classes. Rabbi Yammer served as an unofficial advisor to the Hillel on UAB campus.